The love of speed is one reason why we are into cycling. Feeling the wind blowing as we break it while we pedal is a very fun experience in riding. Getting faster is a goal for many riders. We want to be able to do faster climbs, quicker descents, and have a higher average speed. We are even sometimes too obsessed of it as we try to beat others and our own performance records on Strava. Achieving this goal will take lots of hard work, perseverance, sweat, and even money. Here, we will tackle ways on how to achieve that speed you want on your road bike. 1. Make a good plan. Nothing beats a well-planned training. Stick to your designated schedule for biking and create specific goals. Make sure you attempt to reach your goal every time you take off on the road. Discipline is a key factor behind every training. 3. Ride more often. You cannot get the speed you wanted without getting yourself on your bike. Riding frequently will help you increase your fitness level. Devote your time on it and follow your training schedules. You can also ride to commute to your work and when doing some errands. This also helps you to be more comfortable with your bike and learn from it. 4. Lose your bike’s weight. You can start by removing unnecessary accessories on your bicycle like the reflectors, cassette protector, saddle bag or any other items that you won’t need on a certain ride. Cleaning your bicycle can also remove some weight and also make your bike perform better. If you have extra money, you can go tubeless, invest on lighter wheelsets, lighter components, carbon parts and other upgrades. 5. Be more aero. 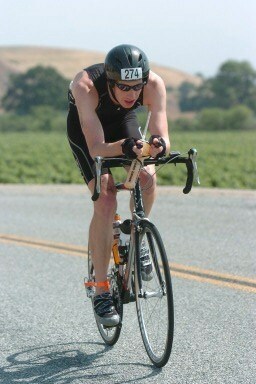 There are certain ways to improve aerodynamics. Your riding position is very important to be more aero, bending your elbows in about 90 degrees, get in a lower position on the bike. 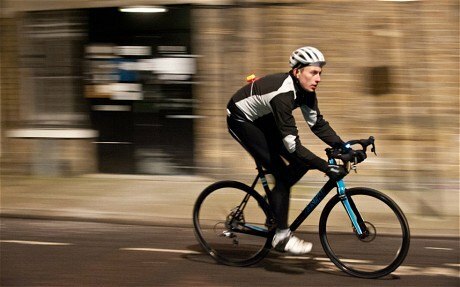 Get into skin-tight lycra suits as you don’t want your clothes to be flapping around like a sail. Get a good aero helmet. If you have the budget, you might also want to consider investing in an aero wheels, handlebars or an aero bicycle. 6. Work on your technique. It’s not all about your physical fitness. Don’t neglect improving your skills. Knowing how to do proper cornering and descending can increase you speed in a ride. Learn and practice effective pedaling. You can also check and watch professionals on how they ride to be able to learn from them. Having good techniques will not just make you faster but it will also increase your confidence. 7. Know the wind. You should know wind direction to be able to take advantage of it. Ride out of a head wind as much as possible it will make you struggle breaking the wind. On the other hand tail wind will help you ride smoothly. Plan your route, you can take advantage of the terrain to give you shelter from strong wind. 8. Eat. This may sound contradicting in our advice of losing your weight but having the right nutrition will keep you strong in a ride and helps you train better and ride faster. Not eating enough is a common mistake of people who wanted to lose weight, you will have a quick decline on your weight but not enough energy to keep your training. Have a good breakfast before a ride. Also eat frequently and hydrate properly especially in a long ride to keep your glycogen and electrolyte level enough. 10. Train off the bike. Other workout is important as biking doesn’t really focus on all of your muscles. You can try different physical activities like swimming, running or yoga. You can also hit the gym to train your muscles and core. 11. Do a proper recovery. Training can break down muscles on your body and doing over training can be bad for your health. So make sure you get time to recover and rest. Eat properly, replenish lost electrolytes. You can also have a body massage after your training to get rid of lactic acid. 12. Monitor your progress. Knowing if you are improving or not is important so you can identify what to improve. 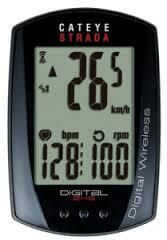 You can get help in monitoring your training by using power meters, speedometers or applications like Strava. 13. Get a coach. This can be optional but having a good coach can help eliminate guesswork on training. Coaches will also be able to give you motivation for your training so you can achieve your goal. Today’s cycling technology became really helpful in making us ride faster with aero gears and lighter components but nothing beats dedication, hard work and training. The road will never get easy as we strive to get faster on our wheels but this tips will be able to help you in getting better speed. Hope we are able to help you out. Ride safe! Ride fast! Enjoy!